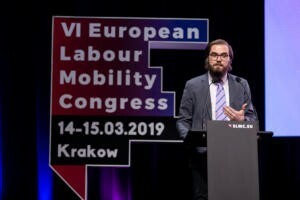 The VI European Labour Mobility Congress passed under the slogan New posting rules. Problems solved? Fairness guaranteed? The European Commission initially had an ambitious plan to create a Labour Mobility Package. It should not be confused with the mobility package on international transport. 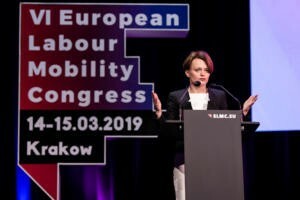 The Labour Mobility Package was to guarantee coherent rules of labour mobility in all sectors based on the free movement of workers and the posting of workers under the freedom to provide services. The package was to provide EU solutions regarding not only labour rights, but also social security and even taxes. Originally, it was meant to be a whole package of legislative, financial and organizational solutions aimed at reconciling the interests of social partners, balancing economic freedoms and protecting employees. The goal was to ensure that posting of workers and cross-border provision of services would allow enterprises from poorer countries to develop, but would not jeopardize the stable development of the local labour markets of richer countries. The side effect of the Labour Mobility Package could be to convince the public that the new rules of posting are fair and do not give anyone an unjustified advantage in the single market for services. The existence of profound differences in the amount of earnings paid for the same work depending on the place of work, in a natural way, encourages employees to temporarily and permanently migrate to places where they receive higher wages for the same work. In order to prevent uneven development of the single market areas, depopulation of the Union’s economic periphery in favor of its center, in order to stop economic divergence, a compensation or compensation mechanism is needed. The peripheries can be kept under constant underdevelopment by allocating still higher resources from the EU structural funds. It is a mechanism that makes you dependent on aid funds, similar to social assistance benefits, which over time can consolidate and intensify learned helplessness. However, it is possible to counteract inequalities by allowing weaker competitors to compete in the common market, in what they specialize in. The posting of employees within the framework of the freedom to provide services is a natural tool for convergence in the EU. The abolition of structural barriers in the provision of services in other Member States is not only a treaty requirement (Article 56), but also the best instrument for leveling differences in economic development and ‘upwards’. This has happened to cross-border services. Fifteen years ago, very slowly service providers from the new Member States were acquiring the services market by competing with prices. Today, there are no longer cheap employees. 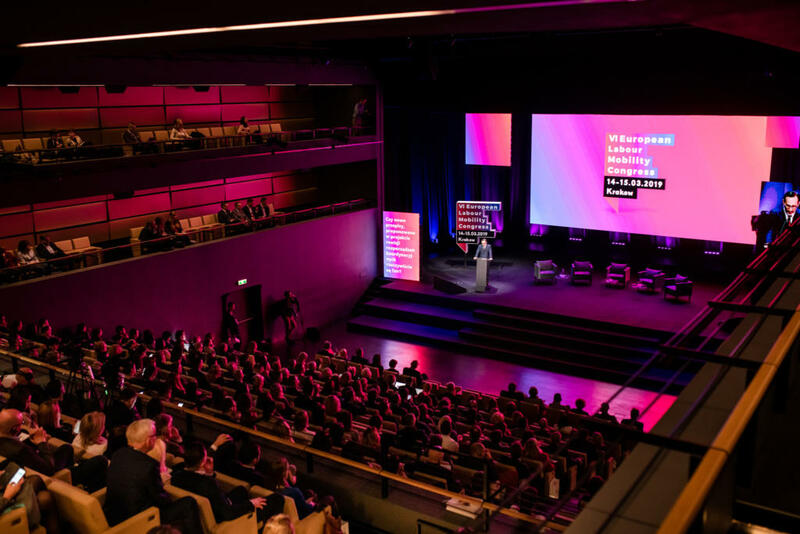 Today, the basis for competitive advantages is the quality and uniqueness of services – said Minister Jadwiga Emilewicz. The image of Polish services has improved radically. Meanwhile, the amended regulations attempt to solve the already outdated problem of social dumping, and this is with protectionism – said Minister Emilewicz during his speech opening the Congress. The Labour Mobility Package could offer such a mechanism, but the plan broke down at the very beginning of the work, when in March 2016 the EC submitted a proposal to amend the directive on the posting of workers in isolation from the principles of coordination of social security systems. Later, in a lightning-fast legislative process, a new EU institution was established. The European Labour Authority (ELA) is to uphold the new rules of labour mobility. 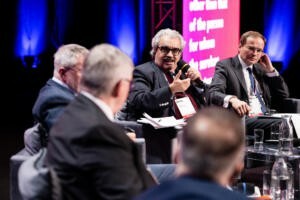 We wanted to distance ourselves from this politically unpleasant atmosphere, full of conflicts and mutual accusations, inviting stakeholders to discuss the issue of posting of workers to Krakow. Why Krakow? – The largest number of posted workers comes from Poland. Polish service companies have a reputation for being reliable. Deliver timely, top-quality services perfectly adapted to the needs of recipients from across the EU. And in Krakow there is the Labour Mobility Initiative a European think-tank, guided by the idea of ​​law-making based on facts, the fight against stereotypes and prejudices, and the awareness of the necessity of subjecting this sphere to a common market of reasonable regulation developed by all stakeholders and experts, and not imposed on poorer countries by richer countries. These goals were also served by previous Congresses, whose themes are worth recalling: IV EKMP – Facts vs. Prejudice, V EKMP – Opportunity for the Weaker vs. Threat for the Stronger. The new rules on posting give rise to fears – not only on the part of service providers from across the Union, but also on the part of trade unions that are not convinced that the problems have been solved by the new regulations. In the panel under the auspices of the European Economic and Social Committee, Carlos Trindade, a representative of the Workers’ Group and the EESC rapporteur on ELA, assessed the amendments using the wording from 3 years ago known from the implementation directive: “… a step in the right direction, but not enough”. Also, the recipients of services will be disappointed with the new regulations, because it will be possible to increase the costs. Concerns and uncertainties are a natural state when introducing new regulations. We are convinced that knowledge is the most effective way to deal with them. Therefore, Congress is not only lectures and discussion panels, but also practical workshops and consultations with experts. 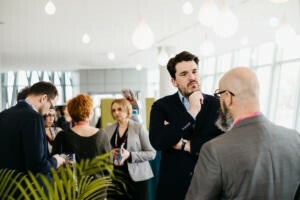 The Experts’ Village turned out to be the biggest hit of the VI ELMC, perfectly fitting the goal of the Congress. Only those service companies that will learn quickly and well how to convert the new regulations into business practice will survive. Thanks to the knowledge gained at the Congress, they have a chance to strengthen their position on the common EU market. After returning from the workshop and after consultations in the Experts’ Village, participants ventilate their business models and reprogram them for new regulations. By creating law, the Commission is allergic to any sectoral solutions. However, the specificity of sectors must be taken into account when changing general rules. It is particularly vividly visible in the extremely mobile group of artists. Life on the road is for them the same everyday life as for truck drivers. The problem of this sector is not to drag the posting period to an infinite period or under any circumstances social dumping – says Anita Debaere (Pearle). A feature of this group’s mobility is the short-term posting of a large group of art workers – artists, technical workers, make-up artists, tailors, inspectors … Formalities related to A1 or notification of this number are disproportionate to the “threat” that artists bring to local labour markets. After the amendment of the directive, it will be necessary to take into account the principles of remunerating local artists or, more broadly, art workers. Marco Rocca (University of Strasbourg) comforts the artists saying that they are so much a forgotten sector that no one will control them. Likewise, in his opinion, with the financial market institutions, the IT sector or mobile researchers. Everyone knows that it is about the construction sector. Forgotten means forgiven, concludes Rocca. However, it is a small consolation for the employer of a 150-member philharmonic band going on a tour of Europe. There is no return to the blissful original state. According to Marco Rocca, there has never been a golden age of posting of workers; from the beginning it caused problems. Freedom to provide services is the last still unfulfilled promise of the treaty. But there is also no return to previous imperfect regulations. Lifting barriers should be demanded in other fields. For example, increasing transparency by the need to take into account the quality and content of information available on a single website when imposing a penalty for violation of the rules on the posting of employees. Proceeding in accordance with the instructions on this site should protect against penalties – postulated Rocca. More far-reaching barriers are possible. Hilde Thys (Agoria) proposes a unified EU notification system. Ideally, it would be coupled with the IMI internal market information systems and EESSI social insurance. The proposals also included extending the functionality of the EHIC Social Security card or the introduction of an EU social security number. Among the ideas for lifting barriers and solving the problems of posting, a proposal was made for the European Commission to develop a salary calculator. If the EC is not able to provide information on the components of remuneration, at least force the Member States to publish the components and provide a tool for the proper construction of remuneration. At present, the whole burden of learning the nuances of remuneration and comparing them with components from the sending country’s system, and in particular the risk of improper construction of remuneration, lies with employers. While the text of the revised directive is already known, national laws to implement it are inherently uncertain. Vacatio legis of the directive coincides with the implementation time. Therefore, the rules of posting will change from 30 July 2020 as it were. Posting companies and the Social Insurance Institution will be much more surprised at the news of the new rules for determining the legislation applicable in the field of social insurance. Just after Congress (19 March), the Council, the Parliament and the Commission came to an agreement and the vote seemed only a formality. Regulations do not require transposition, have direct application and immediate effect. This means that the new rules may apply before the elections to the European Parliament (to which we strongly encourage you – on 26 May). On the one hand, the compromise achieved seems to be beneficial, or rather the best possible real to achieve. The 24-month period of continuing to be subject to the legislation of the sending country for posted workers has been maintained. The ban on substitution for the duration of the service has been made, significantly improving legal certainty in this matter. On the other hand, exceptionally unfortunate were the auxiliary criteria for determining the actual headquarters of the company that were supposed to be used to detect the company’s boxes. Instead of investigating whether there are links with the author of the mailbox, most often the only or the most important client of the mailbox, the criteria help to determine where the majority of employees’ work is performed. One may get the impression that their goal is not to fight with boxes, but to force small and medium-sized enterprises to move their registered office to the state in which they provide most services. – concluded Margareta Przybyła. Although we are awaiting the adoption of the final text of the amendment, the EKMP participants already know that it will be a bit easier to keep the legislation of the sending state under Art. 12, and much harder on the basis of Art. 13. – one of the participants told us, who among many workers posted to Germany several specialists of Ukrainian nationality. Social security coordination was created in the seventies. Its principles were based on the autonomy of states in shaping their systems, but these systems provided a comparable level of social security. Barbara Surdykowska (NSZZ Solidarność) emphasized that after the enlargement of the EU by 10 new Member States, there is no question of comparability. At the same time, there is no political will in any EU country to give up some autonomy and start the process of harmonizing social security systems. Without it, any amendments to the rules of coordination do not lead to a solution to the problem and deepen the sense of injustice. Robert Lisicki (Lewiatan) considers unfair comparison of labour costs in isolation from other costs of enterprises, but also subsidies or concessions granted by member states to their entities. They have a significant impact on the competitiveness and the final cost of the service. In conclusion, Congress provided the participants with a huge dose of systematized knowledge on the subject of new posting rules coming into effect this and next year. The organizers believe that knowledge of these principles will solve many practical problems of entrepreneurs. In addition, it will strengthen their position on the (still under construction) single market for EU services. 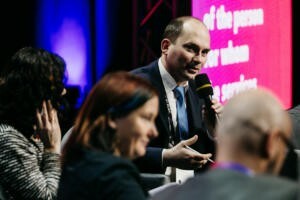 Referring to the Congress’s slogan, even if the new rules on the posting of workers did not solve the real problems of the common market and did not improve the sense of justice, at least their detailed knowledge will protect posted employees and their employers from new problems that the future of the single market brings.